The MT-APS ModTone Atom 9 volt AC power supply with 1000 Milliamp output can be used as a standalone power supply for 1 effect pedal or combined with Modtone MT-APS Daisy chain cable and power up multiple guitar effects with a single Power supply! 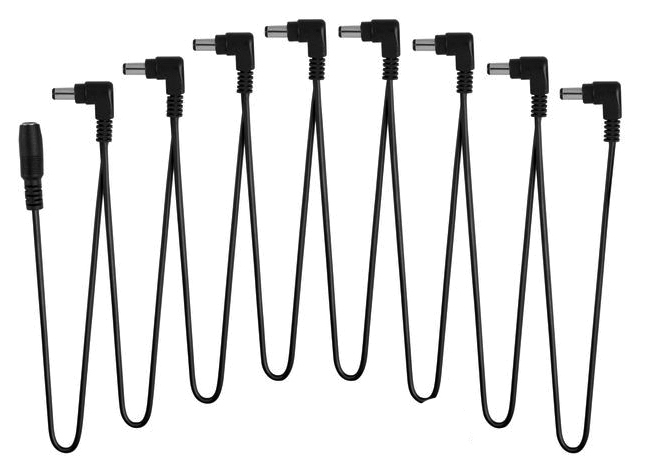 The slim single space plug design only takes up 1 AC input on your power strip or wall outlet and the 72" (6') cable makes it easy to make the jump from your power to your pedal! Works with most 9 volt pedals on the market! © COPYRIGHT ModTone 2015. ALL RIGHTS RESERVED.